Built on an islet around 1300 CE, Bjersjöholm was originally a four-winged stronghold surrounded by a moat and drawbridge. 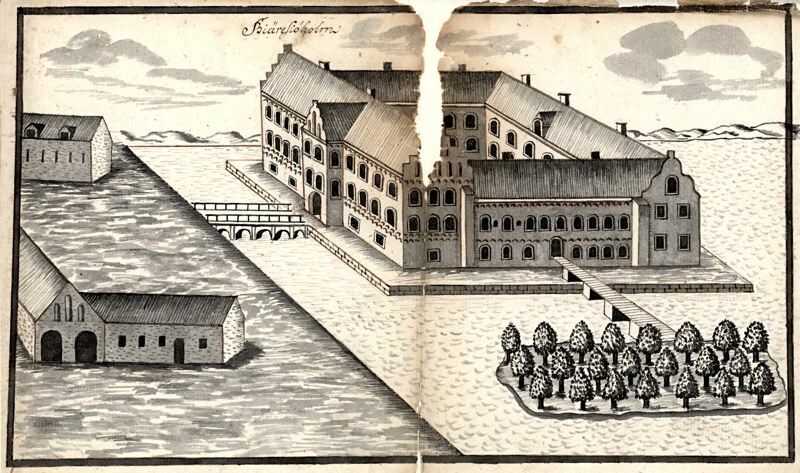 In the late 18th century the northern wing was demolished to meet the architectural style of the era and the moat was filled with the demolition debris. Because of extensive drainage work throughout the 19th century, the remaining lake to the north dried up and the old wooden piles that the castle stood upon began to rot, until severe subsidence eventually forced the demolition of the southern and main wing as well. All that remains of this once so noble castle, are the western and eastern wings that have been somewhat restored.